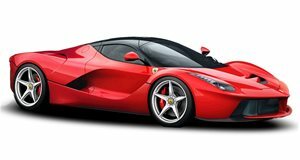 The LaFerrari is arguably the most impressive vehicle to roll out of the Ferrari factory in the modern day. There were a mere 499 examples produced, and with a sticker price of $1.4 million, it’s a tragedy when anything bad happens to such a rare Ferrari. Earlier this week we were dismayed to learn that one of these 950-horsepower hybrid hypercars was potentially written off in an unfortunate accident in Budapest, Hungary. And just a few days later, it seems as if another red LaFerrari has been taken off the streets. This time the incident occurred in Munich, Germany. Very brief footage has surfaced depicting a LaFerrari being carried away by a tow truck. It has not been reported whether the car broke down or was parked illegally, but we hope to get more updated details soon.